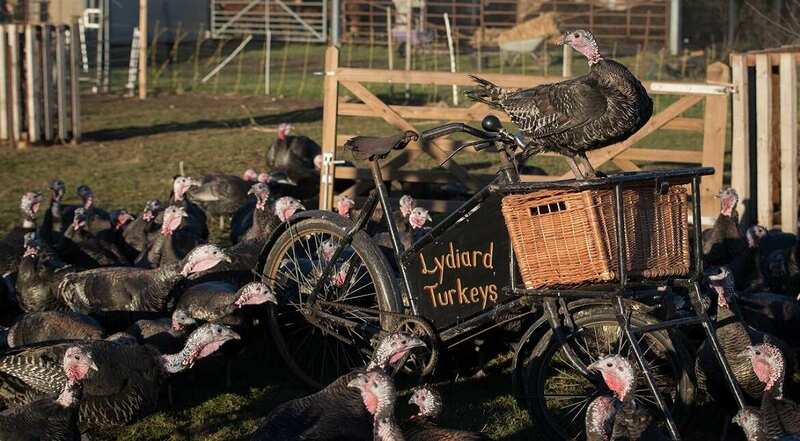 Free range bronze turkeys gather in a fruit orchard at Lydiard Turkeys, a week ahead of their slaughter for Christmas, near Swindon in Wiltshire, England. Barbara Fialho walks the runway during the 2016 Victoria's Secret Fashion Show in Paris, France. 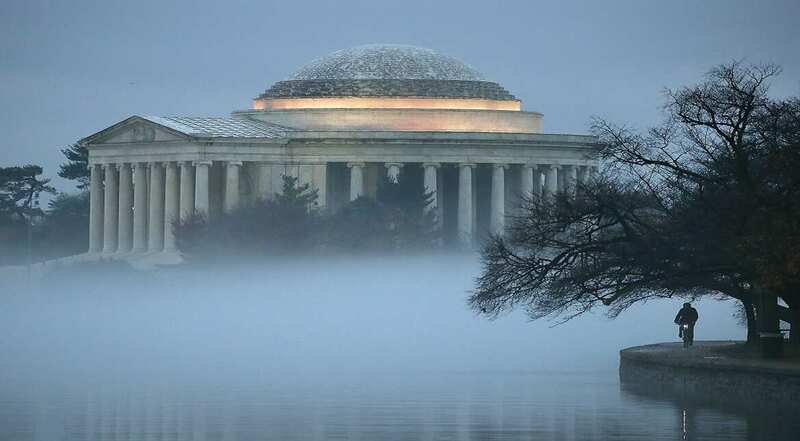 The Jefferson Memorial is surrounded by fog as a man rides a bicycle along the Tidal Basin, in Washington, DC. 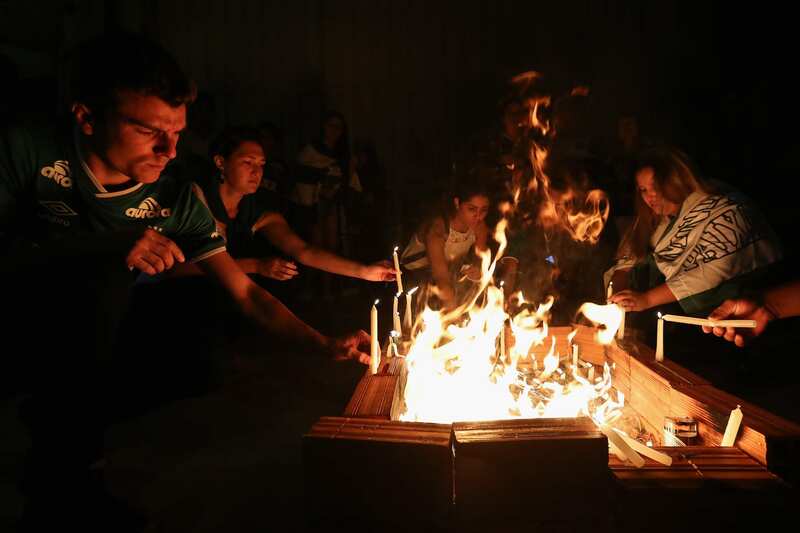 Fans pray while paying tribute to the players of Brazilian team 'Chapecoense Real' at the Arena Conda Stadium in Chapeco, Brazil. 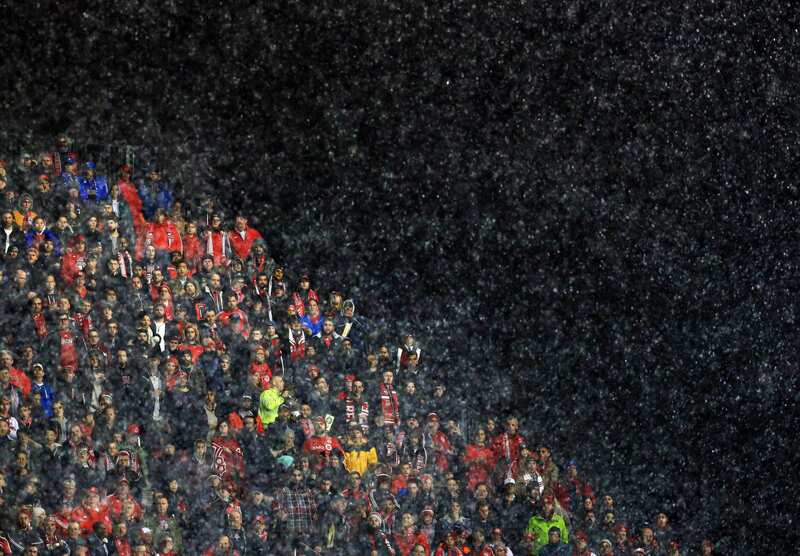 The players were killed in a plane crash in the Colombian mountains. Holly Morton and Piotr Pyrchala try out gaming headsets at Scotlands First Virtual Reality Arcade in Edinburgh, Scotland.